These lightweight wheelchairs come with swing-back desk-length arms. 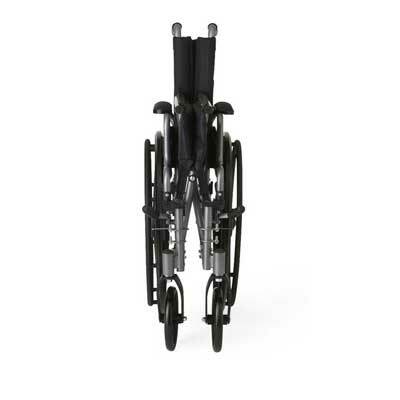 Desk style arms make the wheelchair more accessible to an office desk or dinner table. 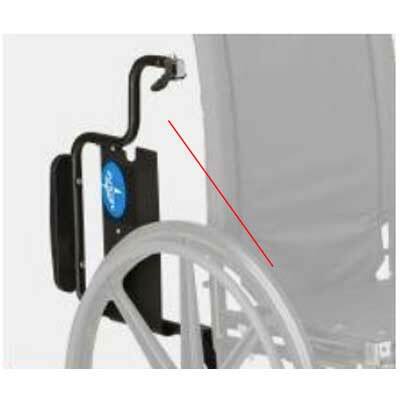 These arms flip-back out of the way for easy egress and ingress. 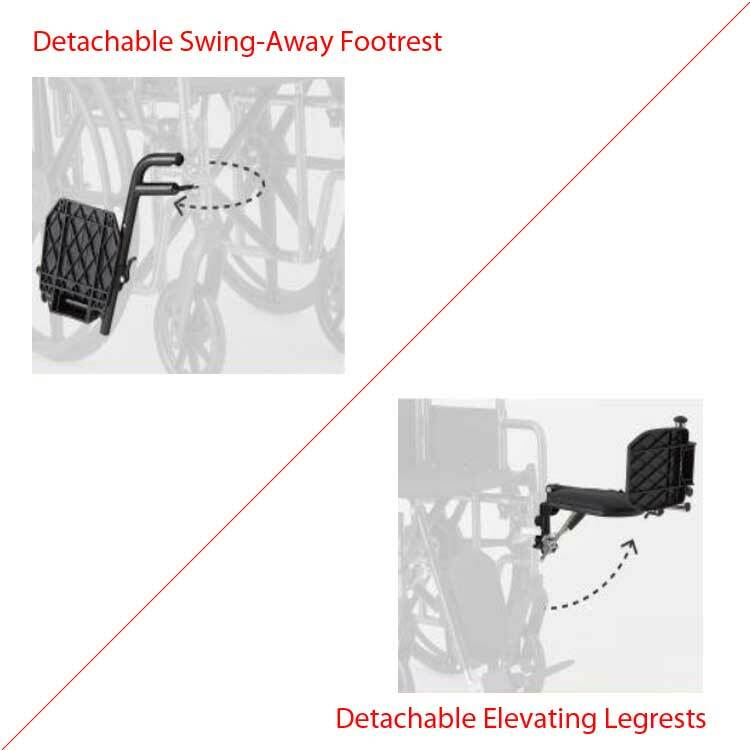 Medline offers a choice between a detachable swing-away footrest or a detachable elevating legrest. The detachable features allows you to remove it for easier ingress or egress. 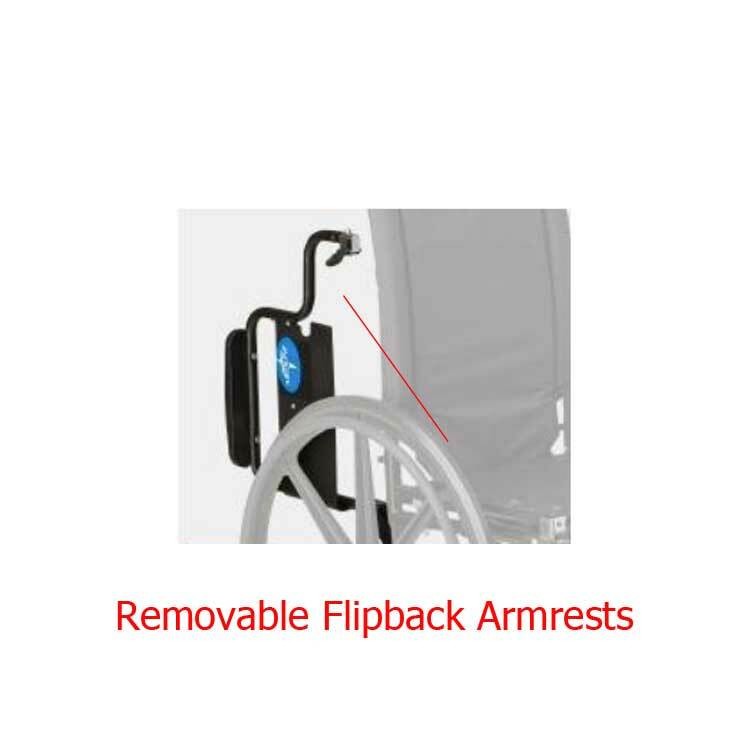 The swing-away features allows the footrest to swing to the side out of the way. 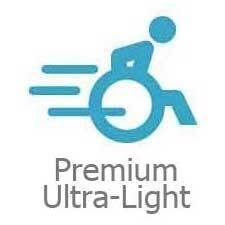 Select between 16-, 18-, or 20-inch seat width sizes. 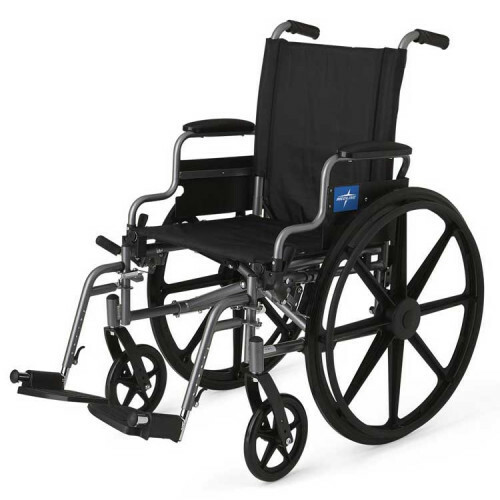 The smaller 16-inch size accommodates smaller sized adults while the 18-inch seat is best suited to average size adults. 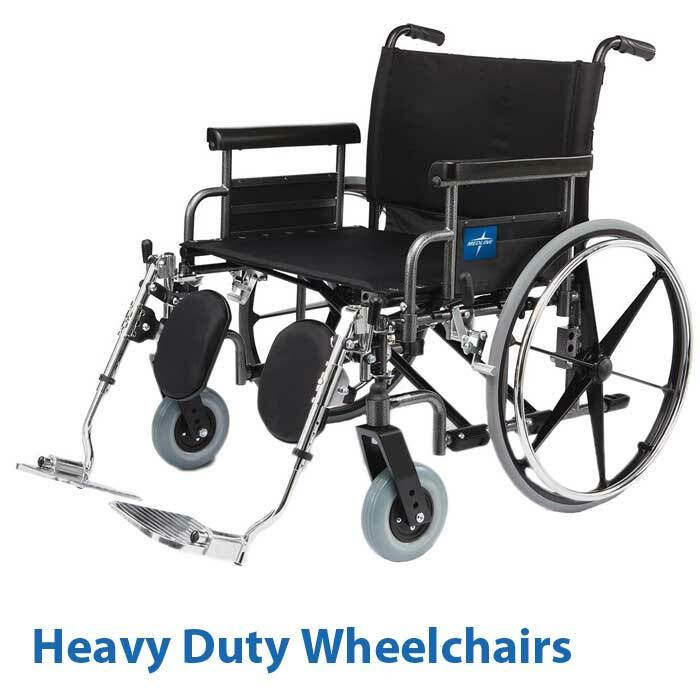 The 20-inch seat accommodates larger adults. Medline also makes 22-inch width sized wheelchairs for bariatric patients called the Medline Extra-Wide Heavy Duty Wheelchair. 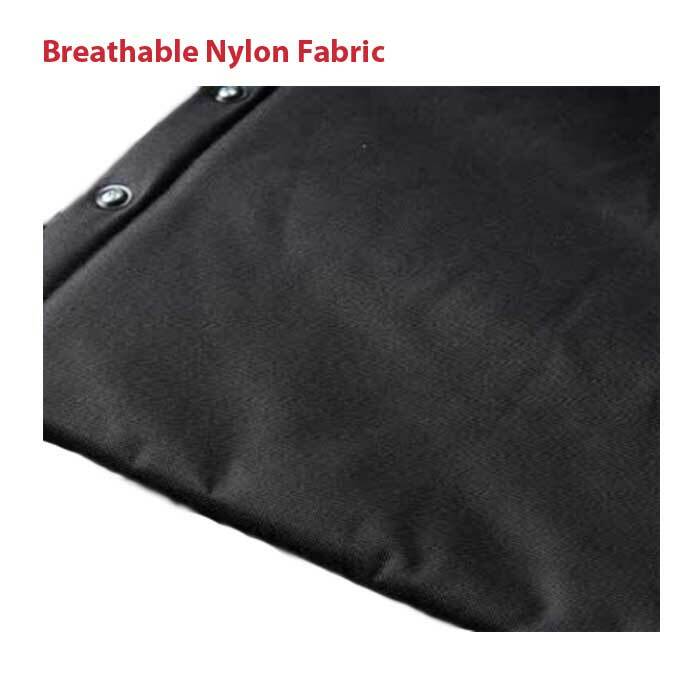 Breathable fabric is allows wheelchair patients to be more comfortable for longer seating periods. 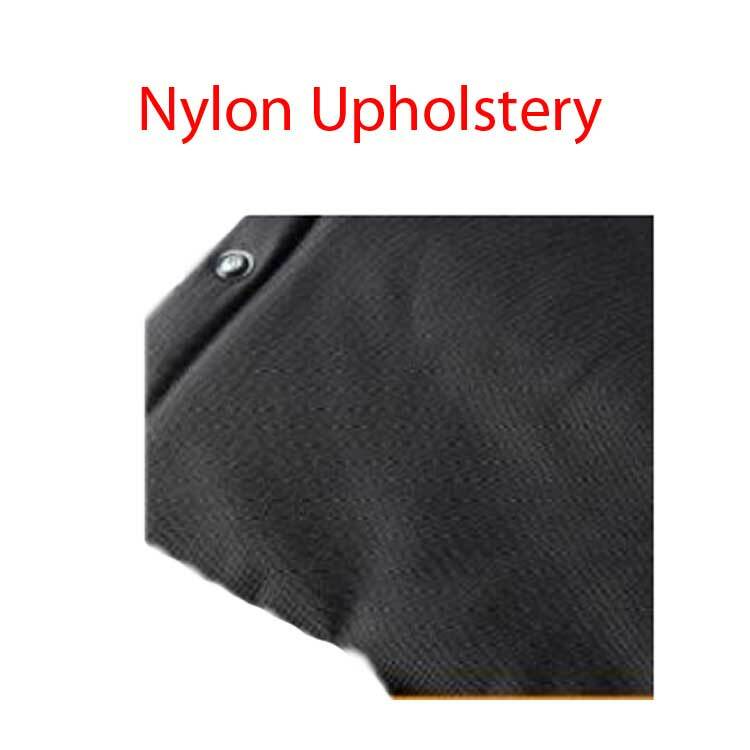 Nylon upholstery is lightweight and more breathable. 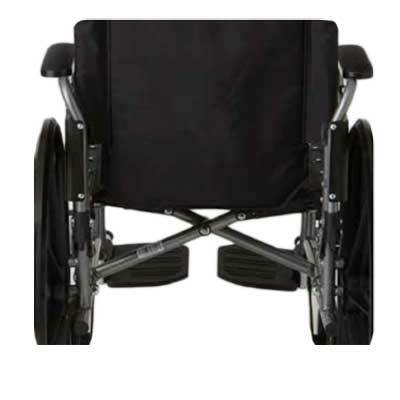 If durability and easier cleanup is more important than breathability, you may want to consider a Vinyl Upholstery Wheelchair. 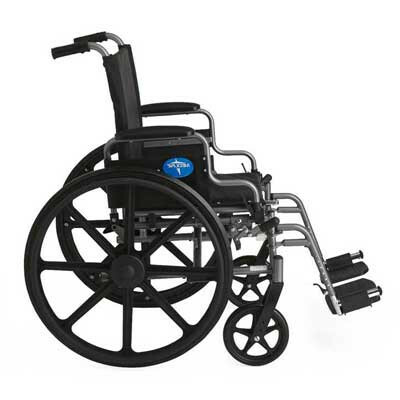 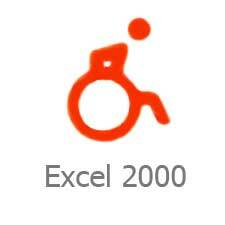 Excel User-Friendly Wheelchairs by Medline weigh only 33 pounds and offer a durable yet lightweight wheelchair. 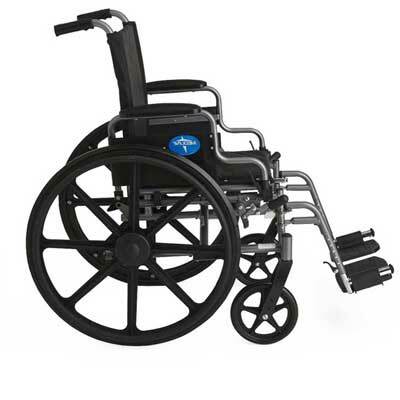 It is also lighter to push and has smooth-rolling, flat-free tires which are particularly helpful for the caregiver. 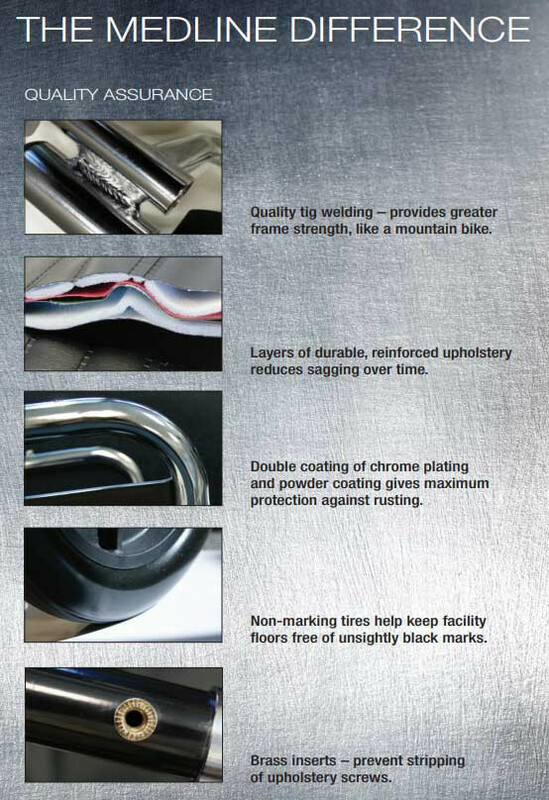 It is made with a durable tig-welded frame with a gray powder coat finish to stand up to rigorous use. 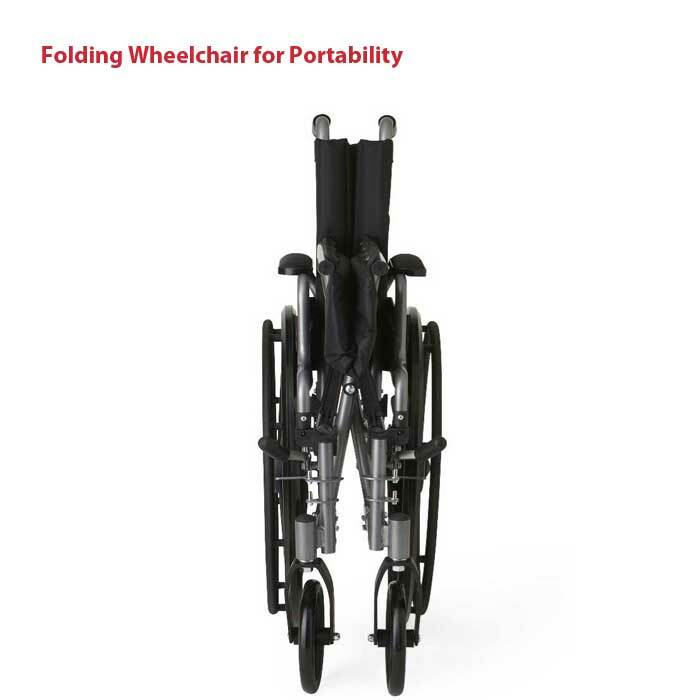 They are folding wheelchairs that make life easier for traveling. 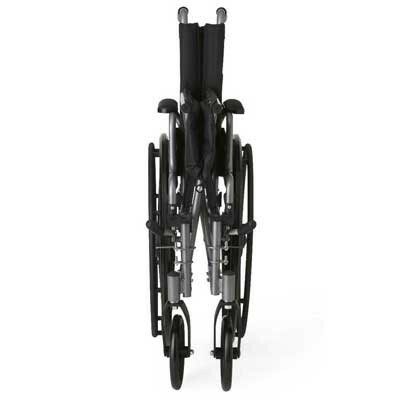 These wheelchairs fold to place in your car trunk. 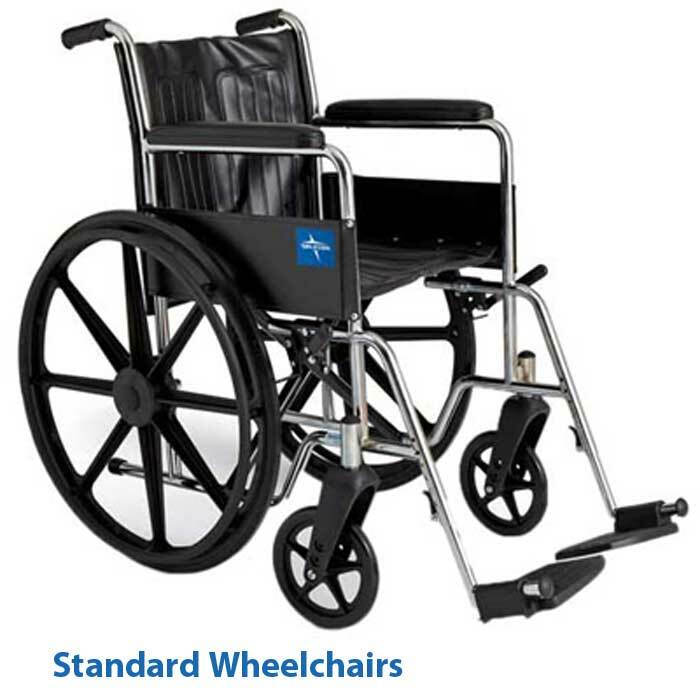 Folding wheelchairs also make it easier to carry up and down stairs or for temporary storage. 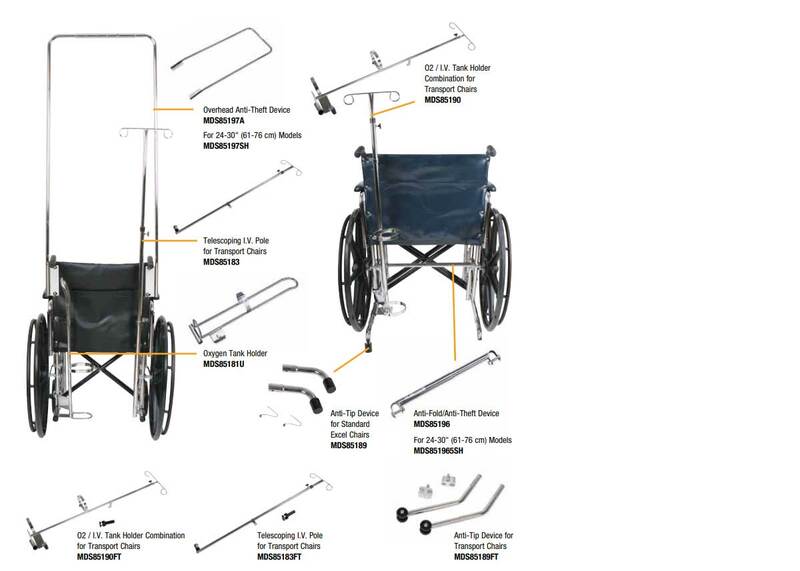 Medline manufactures a number of wheelchair accessories for this user-friendly, lightweight wheelchair, including the Anti-Fold and Anti Theft Device, the Anti-Tip Device, the IV Pole Attachment, and Oxygen Tank Holders. 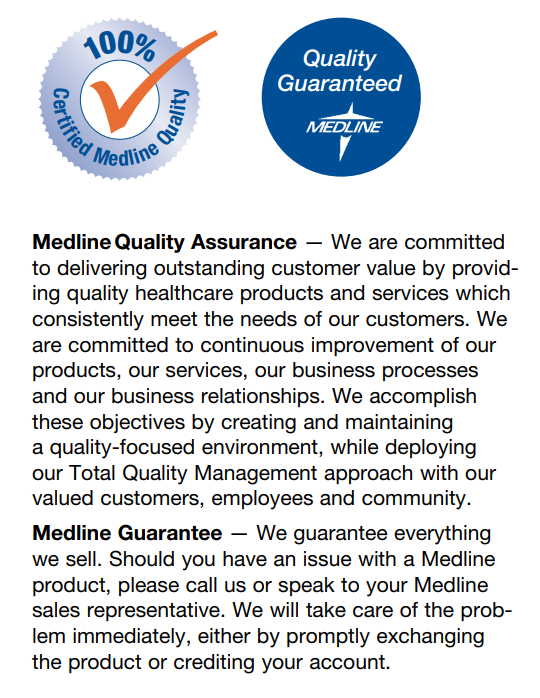 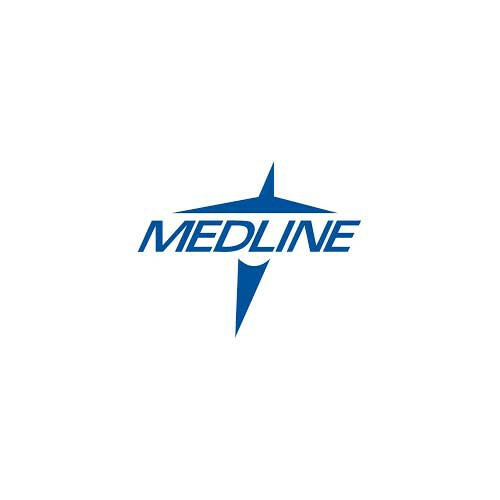 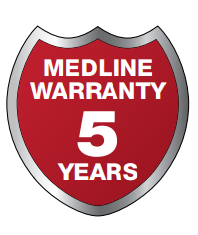 Medline also makes the Premium Ultra-Lightweight, Heavy Duty Wheelchairs, Pediatric Wheelchairs, Comfort Driven, the Extra-Wide Wheelchair, and the Excel 2000. 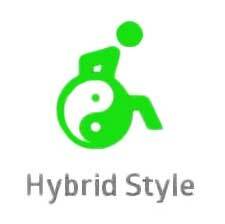 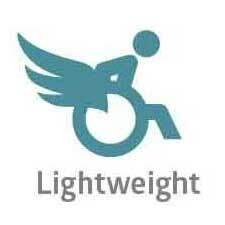 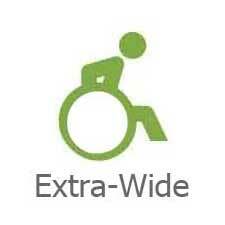 You may also be interested in Extra-Wide Wheelchair with a higher weight capacity. 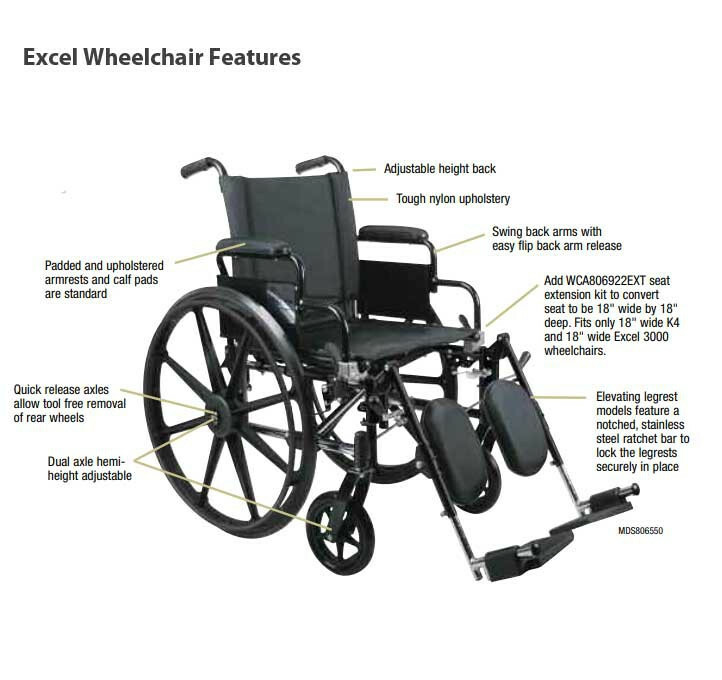 Portable wheelchair that is easy to carry when necessary. 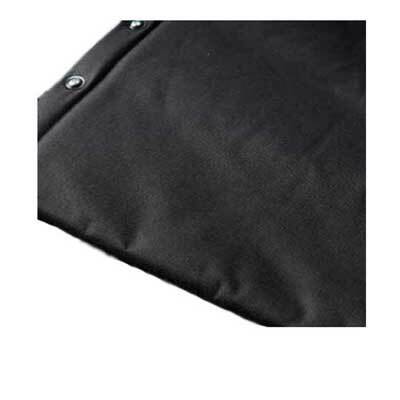 Simple to take up stairs or lift to place inside a car trunk. 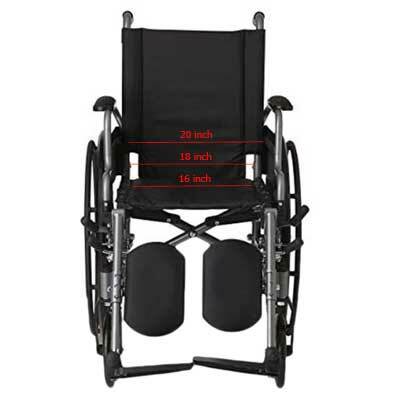 The seat and arms are adjustable in height to meet individual mobility patient needs. 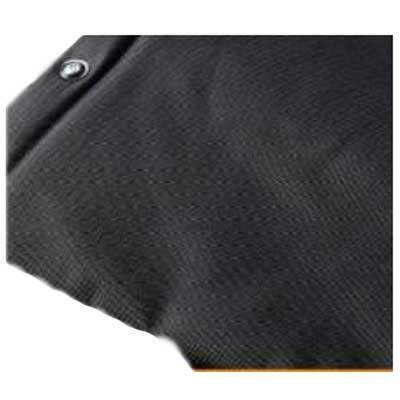 Seat and back fabric is made with reinforced nylon to provide greater durability, breathability and comfort. 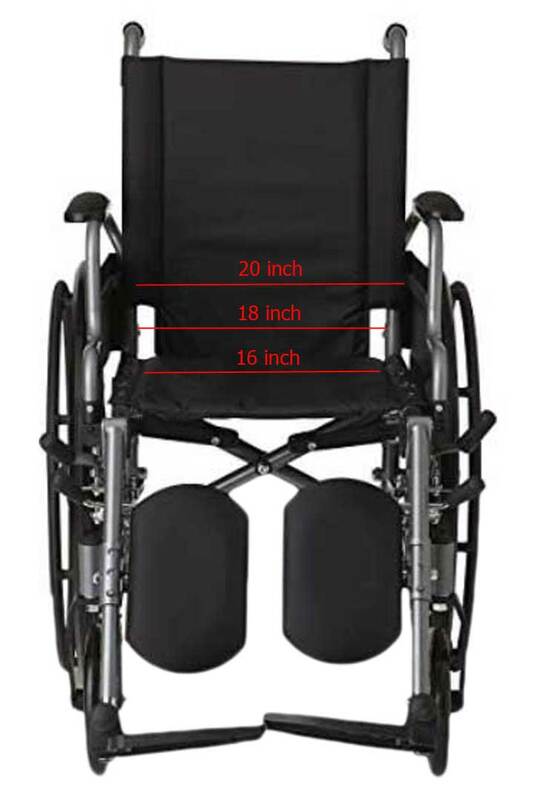 Seat Options: 16" x 16", 18" x 16", 20" x 18"
In order to select the right wheelchair that will best meet your specific needs, it is important to understand the different types of wheelchairs and their purpose. 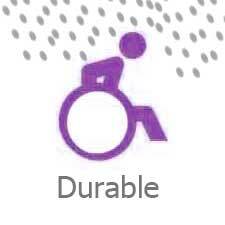 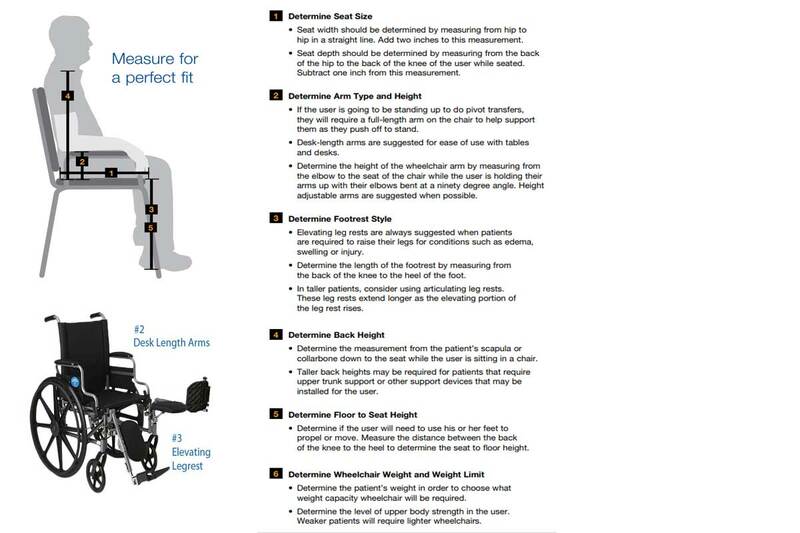 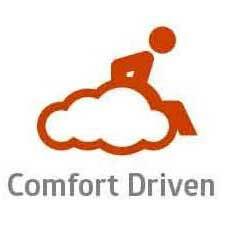 The graphic above display four key consideration when buying a wheelchair. 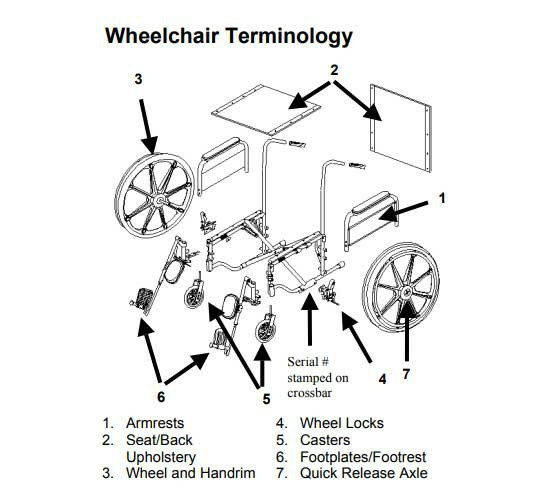 Below is a graphic that depicts the different types of Medline wheelchairs and their purpose and key elements or criteria for selection. 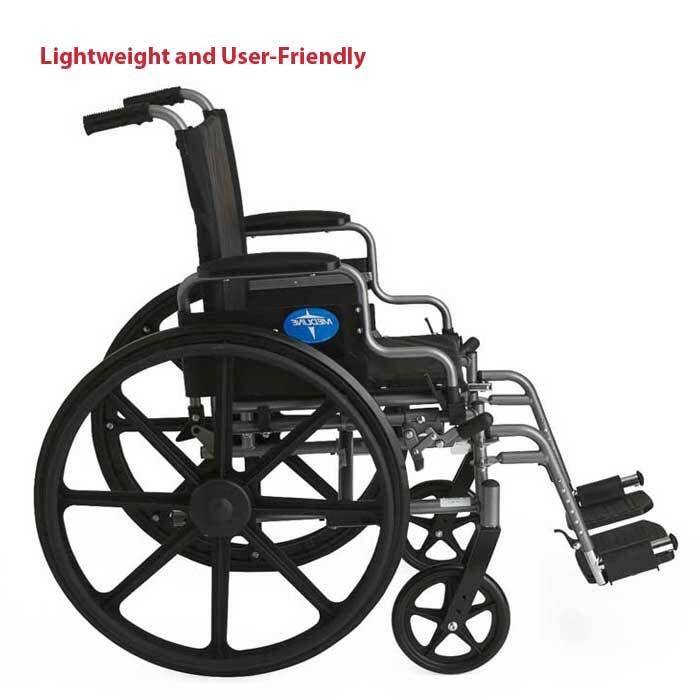 As shown in the comparison chart below, the Lightweight & User-Friendly Wheelchairs are located in the sixth column and are classified as K4 Lightweight Wheelchairs. 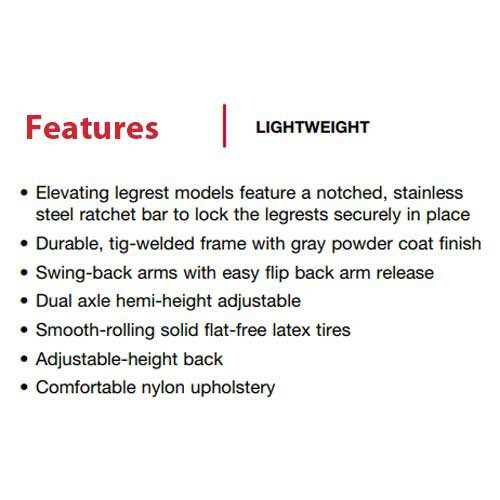 These models offer a flip-back arm style, a choice of footrest or elevating legrests and seat widths of 16-, 18- or 20-inches. 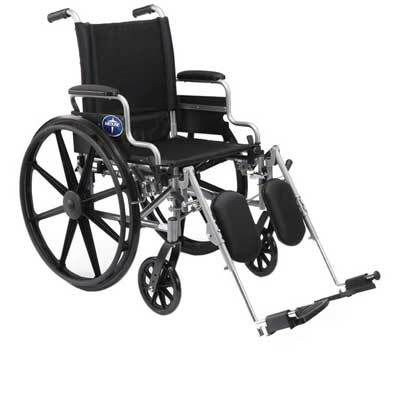 Below are wheel chair accessories to aid in safety, to make you more comfortable and offer additional capabilities. This compatibility chart lists the most popular wheelchairs and the accessories that are a good match. 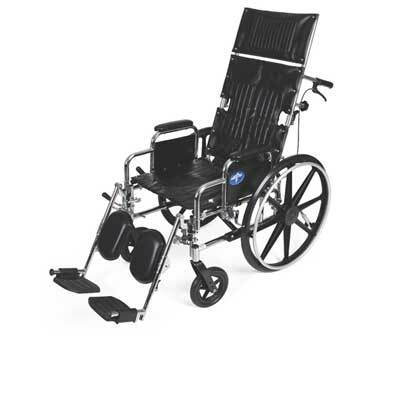 Vitality Medical also carries other items that support K3 and K4 Wheelchairs, such as the Gel Foam Pressure Redistribution Wheelchair Cushion and the Oxygen Cylinder Carry Bag For Wheelchair. 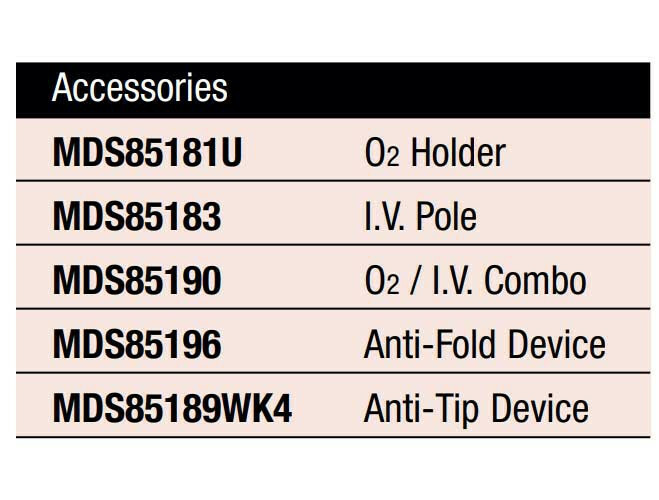 Below is a chart of addition accessory items. 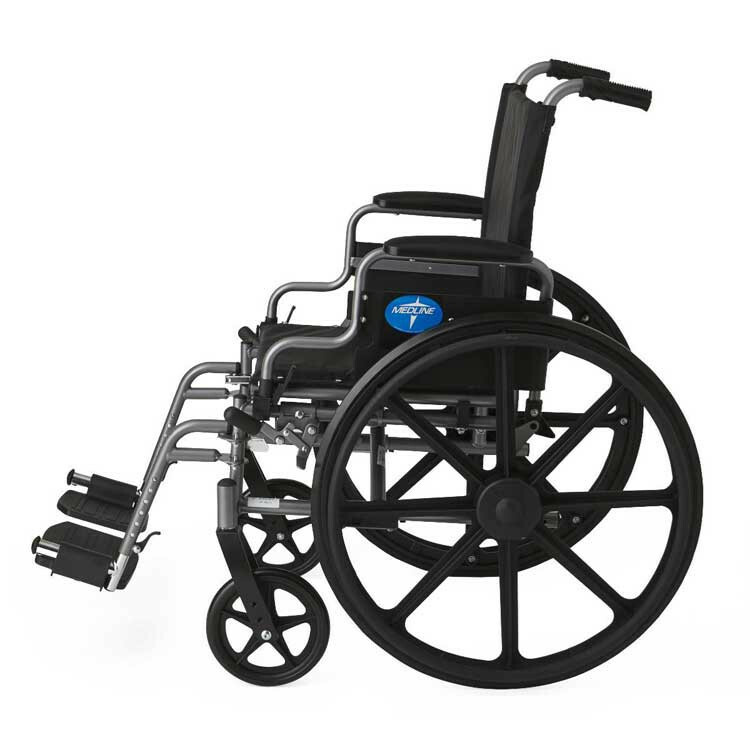 When you need replacement parts for your Medline Wheelchairs, call Vitality Medical at 800-397-5899.